Well the snow has melted and it has turned milder, but don't worry, there is still plenty of winter left and time for snow sports. 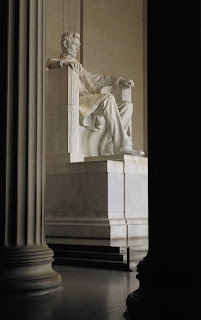 However, changing gears a little, today, February 12, 2009, marks Lincoln's 200th Birthday. I'm not sure if there is more information now about our history, or I am becoming more interested as time goes on, or both. But there seems to be some interesting stories now around that I had no idea about as a kid. So, with the 200th Birthday of Lincoln comes some cool gift ideas for men who are into history. For example, there's plenty of good books to choose from on the particular person or topic your gift recipient is interested in. Or you might consider the gift ideas for him falling under the vintage / collectible category. Things like collectible coins, old photos or paintings, war artifacts, letters, and other historical memorabilia. You can check out eBay or Google and do some searching to come up some specific ideas for your situation. Hopefully you will find this a helpful tip when considering gifts for men. This will be our last post prior to Valentine's Day - hopefully you have taken care of that already and if not, put your thinking cap on, for some last minute shopping.